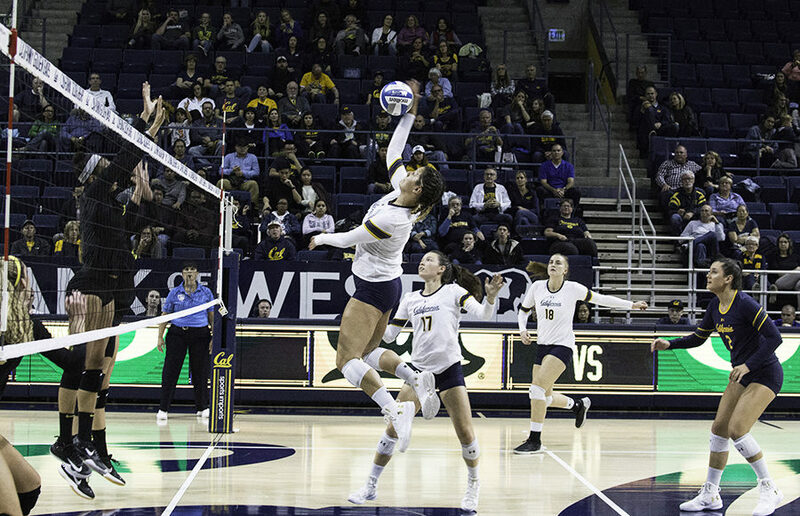 Taking third at the Pac-12 Championships, Cal beach volleyball (24-8) finally established its name among the best, while checking off goals that were left unaccomplished for the past four seasons. If the Bears have told their fans anything this season, it’s that their team is capable of exceeding all expectations. Cal’s No. 3 pair of senior Bryce Bark and sophomore Madison Dueck came close to clinching the dual but ultimately fell 15-9 in the third set. The loss pushed the weight of the dual onto the top two pairs — ones that haven’t played together all season. In the Pacific Northwest, the team will face a competitive field of two days. Cal will play Oregon and Washington on day one, two teams eager for an upset, and two ranked opponents the following day — No. 14 Stanford and No. 4 USC. The desert was a battleground this weekend, and No. 14 Cal beach volleyball came fully equipped for a war in Arizona.